The Regina has a scoop neck, low back and double spaghetti straps criss crossed at the back. 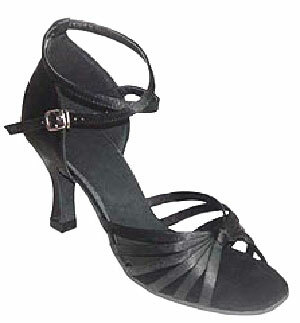 Plain nylon jazz pants with a halter neck and a low cut open back. Plain nylon Lycra or cotton Lycra all in one jazz pants with double cross-back straps and short wrap-over skirt. 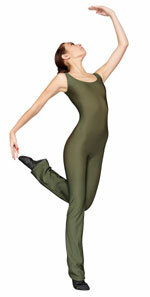 Bi-coloured velvet/nylon, sleeveless with front zip, round neck and nylon Jazz Pants. Plain nylon Lycra or cotton Lycra all in one jazz pants with large keyhole back, high neck with stud fastening and short wrap-over skirt. Nylon jazz pants with an asymmetric velvet cross-over bodice. Plain nylon Lycra or cotton Lycra all in one jazz pants with halter neck and short wrap-over skirt. Velvet top with double cross-back straps and nylon flare Jazz Pants. 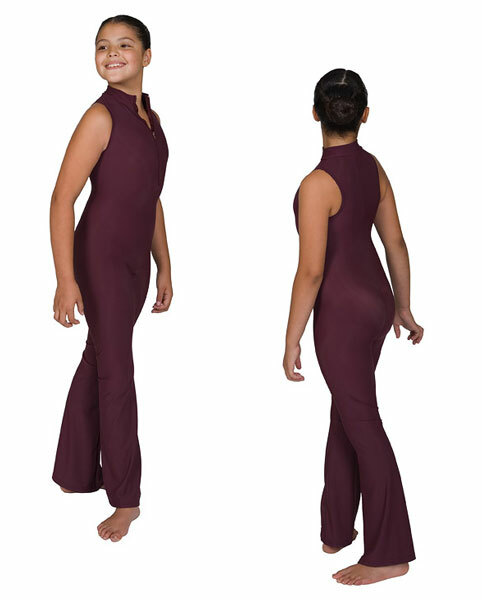 Two tone velvet/nylon jazz pants with a halter neck.